Venez nous rencontrer et découvrir nos aubaines chez le concessionnaire Go Kia South. Voyez ce superbe véhicule Kia Sorento 2019 usagé près de Edmonton. Inspecté et certifié par nos techniciens d'expérience, ce véhicule Gris indique 34119 km au compteur. Ce véhicule Kia Sorento 2019 usagée vous est offert au prix avantageux de 27888 $. Il s'agit d'un véhicule de type N/D, avec 4 portes, une transmission Automatique et une traction N/D. La Kia Sorento 2019 est muni d'un moteur 2400cc . Si vous souhaitez en savoir plus sur le véhicule Kia Sorento 2019 usagé à vendre à quelques minutes de Edmonton, n'hésitez pas à communiquer avec nous par téléphone au 780 465-3535. KIA SORENTO LX 2.4L AWD; HEATED SEATS AND STEERING WHEEL PUSH START BACKUP CAMERA ANDROID AUTO/APPLE CAR PLAY!!! 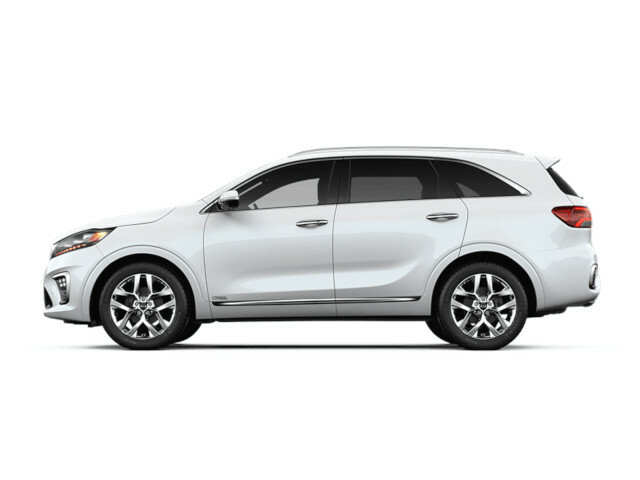 The new redesigned 2019 KIA SORENTO comes with our 2.4L 185 HP engine paired to a smooth shifting 6 speed automatic transmission bolted to our DynaMax All-Wheel Drive Platform; with an amazing 9.0L/100km fuel economy on the highway! Very well equipped this Sorento comes with: Technology; Inductive wireless phone charger Android Auto and Apple CarPlay compatible Bluetooth and AM/FM/MP3/AUX/USB stereo 7 display with Backup camera Comfort; Push start with smart key Power windows locks and mirrors Leather Multi-function steering wheel with cruise control Air conditioning Keyless entry Winter Comfort; Heated front seats Heated steering wheel Heated side-view mirror Heated windshield wiper de-icer Heated rear window Safety; Automatic headlights 6 airbags (front/side/curtain) Anti-lock brakes (ABS) Electronic Stability Control (ESC) Vehicle Stability Management (VSM) Hill Assist Control (HAC) Impact sensing door unlock Engine Immobilizer Automatic headlights Exterior; 17 alloy wheels Projection headlights LED positioning lights Solar glass (IR and UV ray reducing) Roof rails Buy with confidence from the number one ranked brand in initial quality in North America for three consecutive years as per JD Power and Associates. Were so sure of our cars that we back our cars with an incredible industry leading 5 year/100 000km comprehensive warranty! Interested? Need more information? Contact our Internet sales team at 780-465-3535 or come on in! Located at 3030 Gateway Blvd Edmonton AB. Just north of 23rd Ave between Calgary Trail and Gateway Blvd you can't miss us! Go Kia South is an AMVIC-licensed business.